Posted on November 28, 2018 November 29, 2018 . by Patrick Johnstone. 2 Comments. I read this headline, and my best reply is: Yep, I share your frustration. I hear the concern expressed by residents in New Westminster when they see utility costs are going up at rates much greater than inflation. However, I am challenged in trying to find an alternative approach that balances operational costs while planning for long-term sustainability of the utilities. Its not from a lack of concern or empathy for the impact of rate increases, it is more about responsible management of the budget in a way that doesn’t threaten the financial sustainability of the utilities. A 7% annual increase (adding up to a 40% increase over 5 years) sounds like a lot, and is clearly well above CPI, which is predicted to be between 2% and 2.5% for the next few years. However, the cost to operate our utilities is also increasing much faster than CPI. The best I can do here is unpack some of the details. All the numbers I use in this post are from the utilities report we received last Council meeting. You can read it all here, starting on page 19. Note the “Average Single Family Household” cost is an average, and your experience will likely be different. Many people in multi-family have their own commercial solid waste services, so pay nothing to the City for that. The sewer and water rates are flat rates to Single Family detached houses, but metered charges to multi-family dwellings. This is an estimate of the impact to the average household, not your exact bill. Still, next year this average household will likely pay on the order of $100 more for utilities, and by 2023 pay $600 more a year than they pay now – that is $50 extra a month. In all three utilities, the majority of the cost is what I slightly misleadingly labelled “Metro Charges” – the money we pay to other agencies to supply the water or to take away and responsibly manage our waste streams. Metro Vancouver provides clean, treated, and pressurized water and charges us per cubic metre delivered. Similarly, Metro Vancouver takes our waste water and sends it to the treatment plant at Annacis Island, where it is treated to be safe for disposal into the Fraser River, again charging us per cubic metre. Solid waste is slightly more complicated because organics, recyclables, and “garbage” go to three different streams, and some of those are costing us more than others. The other costs are related to how we deliver those utilities. Salaries are pretty clear – that is what we pay people to do everything from performing repairs to pipes to processing your bills. Contractors also do similar tasks, but are usually related to projects like replacing a length of watermain under a street or designing a new billing system. You may note that Solid Waste has proportionally much more salary cost because we need people to drive around in trucks and empty your bins – Solid Waste is inherently more of a “service” delivered by people than one relying on capital sitting in the ground in the form of pipes. Supplies are the paperclips, toner fluid, and rubber gloves that staff need to do the jobs above. Note this category is limited to things that are consumed, as opposed to things like trucks and new pipes that are capitalized and included with our Amortization, but let’s not dig too deeply into the capital budget right now (I’ll talk about it more later) . So utility rates are going up, because the main cost driver for the utilities are going up. What we can do about it? Inevitably, someone is going to raise the issue of salary costs – it is unavoidable when talking about government. CUPE contracts that provide decent wages and work conditions, along with decent CPI-level wage increases won through collective bargaining, seems to elicit anger in some members of the public. However, public service wages are not a significant cost driver here, because they make up less than 10% of the cost for delivering utility service in the City. If we were somehow able to cut all salaries in half (those orange areas in the chart above), your utility costs would go down less than 6%. Such a drastic move would not even offset a single year of utility increases, and we would be back to regular increases in year two, with a much less effective utility due to the lengthy labour dispute and loss of staff. Some will note that our “revenue” for utilities is much higher than our “expenses” for Utilities, and this is where we get to the other part of the equation: the capital budget. This is the money we need to re-invest into the utilities every year to keep them functioning, and to build towards sustainability. In the larger scheme, it is capital investment that explains why those Metro Vancouver rates are going up so much. Posted on November 21, 2018 . by Patrick Johnstone. 2 Comments. Posted on November 18, 2018 . by Patrick Johnstone. Leave a comment. This is episode 7 (?) of my hopefully-regular pre-council list of what I think are going to be the most important three items on our Council agenda on Monday* in no particular order, so you can decide if you want to tune in. We need to build a new substation in Queensborough. It has been in the long-term capital plan for the Electrical Utility for quite some time as load demand has been going up, and the fire on the Q’Bobo bridge last year that caused a protracted power outage in the neighbourhood demonstrated a surprising lack of resiliency in our grid over there. Substations are expensive, and we will need to borrow to pay for it (well, the Electrical Utility will need to borrow to pay for it, but we own the electrical utility), which will require a Bylaw and public approval. The budget process moves on, and it is time for us to talk about utility rates changes so the appropriate rate bylaws can be drafted. No surprise utility rates are going up, but once again the rates are increasing more than inflation for a variety of reasons. The water, sewer, and solid waste utilities operate somewhat separately from the City’s general revenue, and their increases are directly tied to the increasing cost of the service and the need to plan and finance infrastructure improvements. The Electrical Utility is a special case that makes us different than other cities, but it is still impacted by the increasing cost of wholesale electricity from BC Hydro. Expect a robust discussion here about efforts to keep utility rates in check. #3: Testing out the new ones! This is the first real Council Meeting for a couple of new Councillors, Chinu Das and Nadine Nakagawa. They have both been inaugurated and through a bit of orientation training, but nothing like budget deliberations to really turn the heat on them. Fortunately, they both have a tonne of experience working on boards and are pretty will versed on how Council works. I’m not expecting any strangeness, though there are still sometimes unexpected procedural hi-jinks even for us experienced types! *footnote: The funny thing about Council: it is almost impossible to predict what three items will rise to the top and get the most debate/ public feedback / media coverage. These are only my guesses, and I am only one of seven. For a full prediction of the entire Council agenda, go to the agenda! Posted on November 16, 2018 . by Patrick Johnstone. 1 Comment. I live in a new condo building that abuts right onto an older building. I’m not sure how the developer got away with building right to the property line. Needless to say, the owners of the other building were not happy with us, and really, it’s not what we envisioned either. What is the minimum distance requirement between two multi-family dwellings…if any? In there you will find a 9-page list of amendments, in case you care to see the evolution of the Bylaw over 17 years. You will also find an introductory document that lays out the format of the Bylaw, including 22 pages of definitions and the names of the 75 “districts” into which the City is divided, each with their own specific rules. Telling, but not surprising if you have ever been to a Public Hearing about a rezoning, this launches off with then 22 pages of parking requirements, before a bunch of seemingly-random but no-doubt-logical-at-the-time rules about things like garbage and recycling storage facilities and satellite dishes… alas. There is also a little bit in this section about setbacks – the required distance behind a property line where buildings can be constructed, but here it is a strange list of specific spots that were probably put in place for location-specific requirements like utility offsets or traffic sightlines. If you want to know how close you can build to your property line or how close your neighbour can build to it, you probably need to get into the specifics of the zoning district that applies. Then you need to go to the comprehensive list (7 documents, 400+ pages) of zoning districts to see what the specific rules are. All this to say, there is no single rule, but a set of rules and local exemptions apply, so everything I say here is general and the only relation it has to your specific case is that it almost certainly doesn’t apply to your specific case. Zoning is complicated. 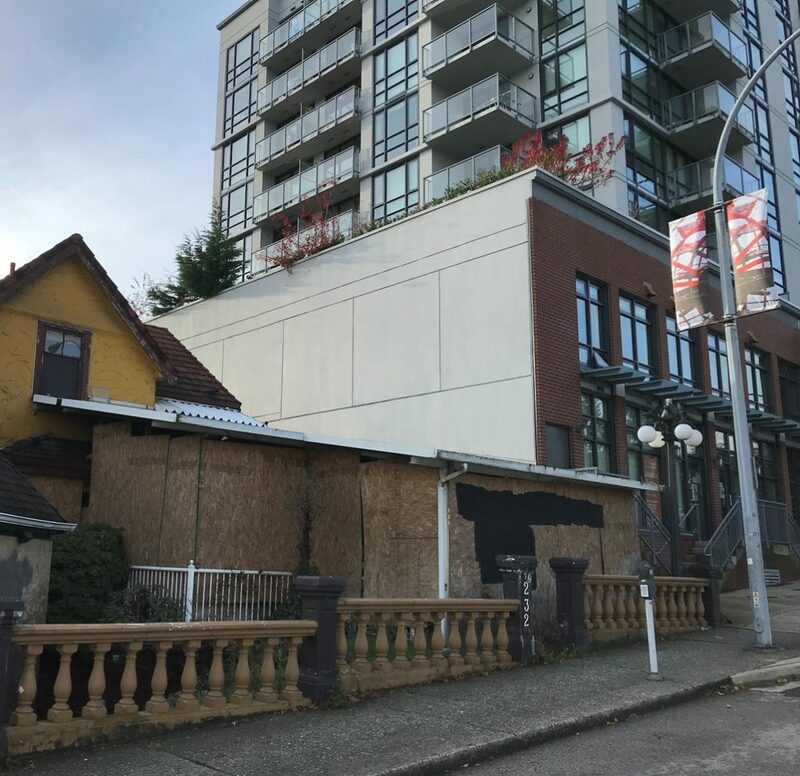 In generality, for single family homes the “side setback” is 10% of the lot width or 5 feet, whichever is less, but never less than 4 feet, although it may be possible for some non-wall to “project” into this setback in special cases. That not clear, but about the clearest case you can have. Condo buildings vary in their zoning type, depending on what type of building they are (townhouse or small apartment building or tower?). Some fit snugly in a Townhouse or Commercial District designation, others are “Comprehensive Development Districts”, which are stand-alone zoning rules developed to support a specific development at a specific site – and therefore have an address attached to them. The nearest one to where I am sitting now is the one I clicked on in the map above, which is CD-20: Comprehensive Development District (246 Sixth Street). This was put together in 2008 to permit a 16 storey residential tower with commercial “live-work units” at grade, now called 258 Sixth Street, just to complicate matters. It has no set-back requirement at grade, but setbacks above 9.14 metres (i.e. starting on the fourth floor) of 2.5m at the streetscape sides (to reduce the “mass” of the building as it appears from the street), 14.2m at the rear and 7.1m on the neighboring-building side (both to reduce the proximity to current and potential future residential buildings). Every Comprehensive Development District has its own character, as does each neighbourhood. Its shape and form of any planned building is impacted by the buildings that are adjacent to it and by the future vision of the neighbourhood based on longer-term planning guidelines like the Official Community Plan. However, all of these guidelines can be overruled by bringing a Development Plan and appropriate Zoning Amendment to Council and convincing Council there is a good reason to vary from the guidelines. Sometimes this means placing a tower towards one side of the pedestal in order to reduce the viewscape conflict with an adjacent building, sometimes it means the increasing the size of a setback in order to provide some community benefit like improved pedestrian realm or emergency vehicle access. These are the complicated maths that often require months or years of negotiation between our planning staff, the landowner, stakeholders and the community. Perhaps that is the part of the entire development-approving process that most of the public don’t understand when they see a project come to Council for a Public Hearing. They see Council approving or denying a specific building, but in actuality it is a large and complicated stack of compromises (by than landowner and the City) and potential benefits built up over those negotiations that Council eventually is asked to approve or not approve. So your building may have allowed zero setback as part of its zoning, or a zero setback may have been something the City wanted as part of the development to create a more amiable streetscape in the long term, or a zero setback may have been something the developer of your building wanted to maximize the amount of square footage they could sell. Likely at least two of these are true, or else it would not have been built like that. Posted on November 7, 2018 . by Patrick Johnstone. Leave a comment. We had a bit of a Council meeting on November 5th. The first meeting of a new term is limited to a few procedural matters that get us up and running as a Council, but there were decisions made so I may as well report on them. First we had Oaths of Office required by regulation, which all of our Council managed to get through relatively unscathed. Even the newbies. And I pronounced pecuniary correctly after 4 years of daily practice. We officially appointed Mayor Cote to the Metro Vancouver Board, as is the general practice. Municipalities like New Westminster get a single seat at the Board, and it is typically the Mayor who serves that position. We also name and Alternate to cover for the Mayor if they are not available. 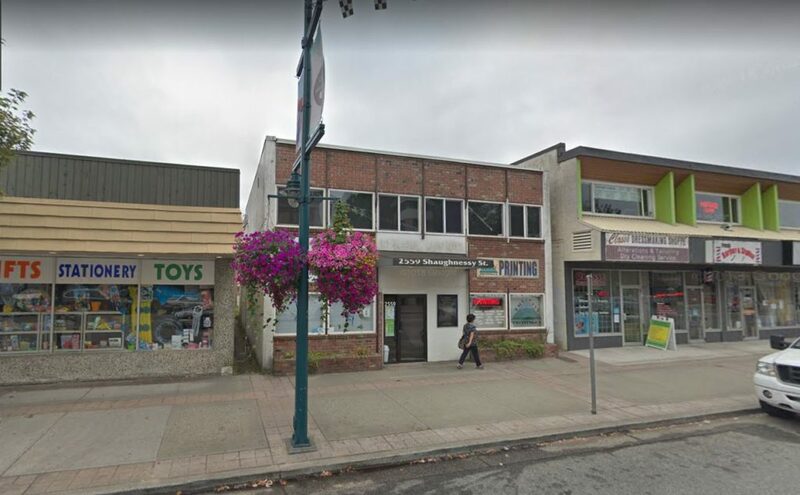 In New Westminster, the practice has been to allow the Alternate serve on one of the regional committees with an available spot for New Westminster. (e.g. for the last 2 years, I have been serving as Alternate and have been on the Metro Vancouver Utilities committee). We voted to appoint Councillor Trentadue to serve as Alternate. The Mayor is setting up a new Task Force to give local economic development a little more focus than it previously had. This model – a Task Force with a clear mandate and financial support to do the work needed to bring new ideas to council, supported by staff and outside experts – worked well for Public Engagement last term (although our implementation is a little slower than I might like on that), and on ongoing issues related to Affordable Housing and Transportation. Sometimes the Mayor is out of town or even (gasp!) on vacation. We always have to have a Mayor designated for some legal reasons around signing important stuff, emergency chain of command, etc. In New Westminster, we share this responsibility with each Council member “acting” two months a year in the event that His Worship is not around. As was the case in the previous term, my months are March and August. The Mayor gets to assign us to committees and Task Forces as well. This does not include the myriad of Council advisory committees (those are yet to come), but more the legislative committees and Mayors task forces. I will be continuing to serve on the Transportation Task Force and Canada Games Pool Replacement Task Force, and will be serving in a full role on the Riverfront and Public Realm Task Force (after serving as an alternate for part of the last term). My time on the Land use and Planning committee has also come to an end –as we have tried to rotate that around Council members. Zoning Amendment (1050 Boyd Street and 1005 Ewen Avenue) Bylaw No. 8033, 2018. Finally, we adopted this Bylaw given Third Reading back in July, because it took until now to get Ministry of Transportation sign-off as required. First real Council meeting will be on November 19th, and I am expecting a stuffed-full agenda!